I just got the photo on the right from one of my clients I had last week. 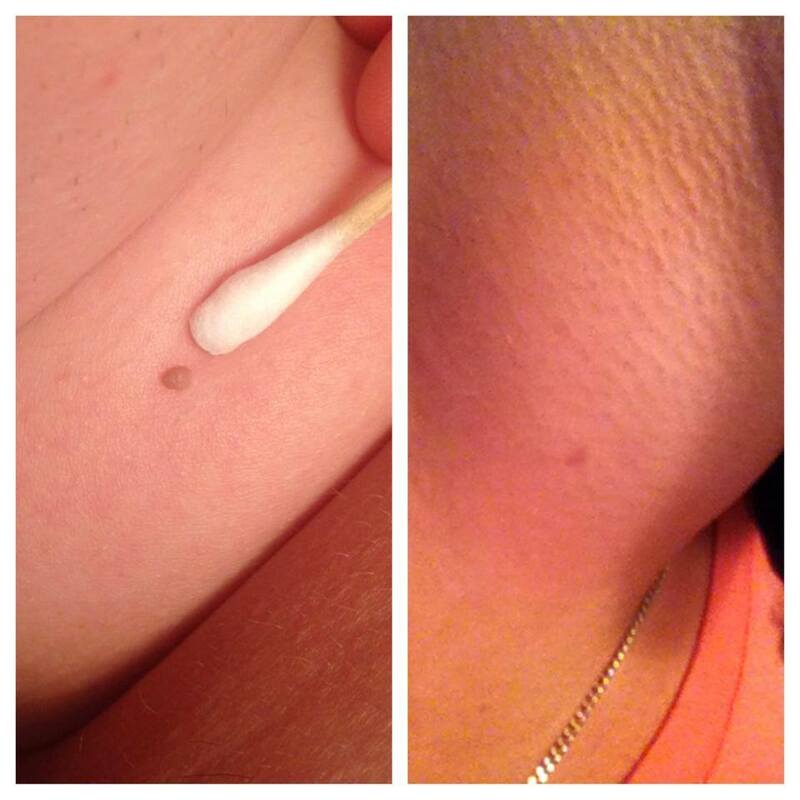 A very large skin tag is now GONE!!! The ThermoClear uses low and high frequency radio waves to dessicate tissues at an epidermal level. Many states allow the use of the ThermoClear (or similar machines) due to this. Thank you, ThermoClear!! !